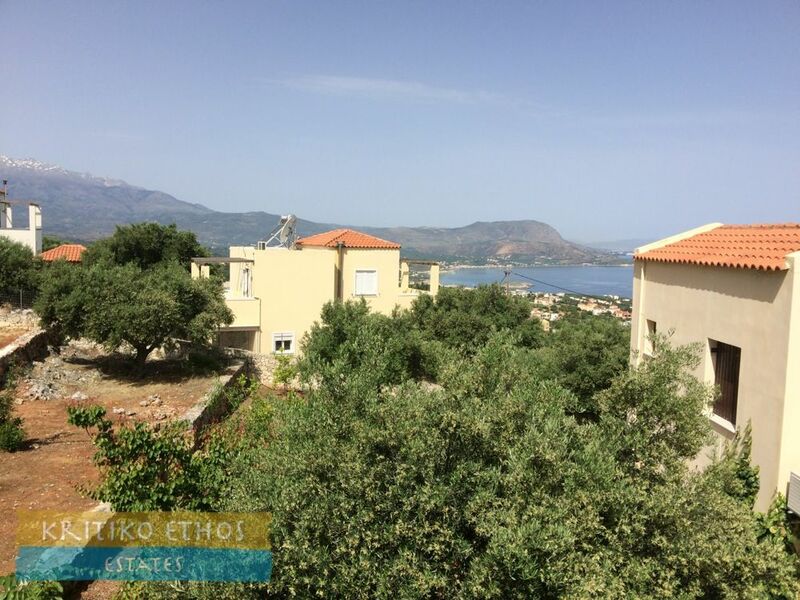 For sale in Kokkino Chorio: Fantastic three-bedroom stone villa with private pool and amazing views! 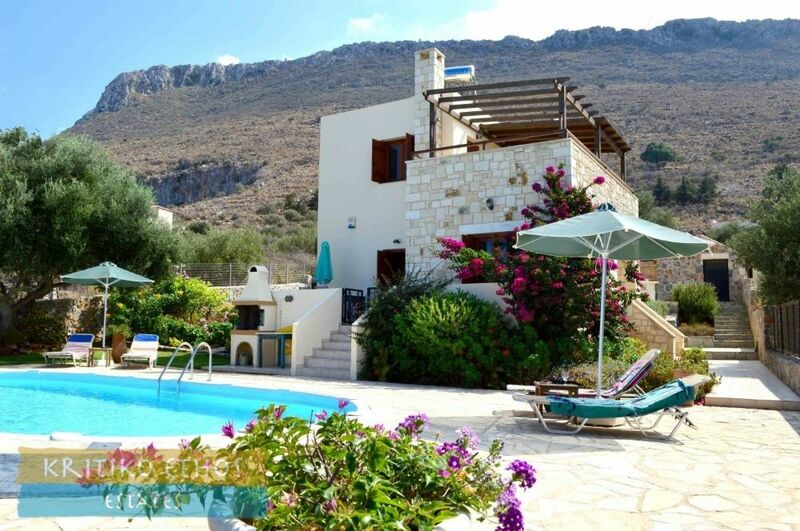 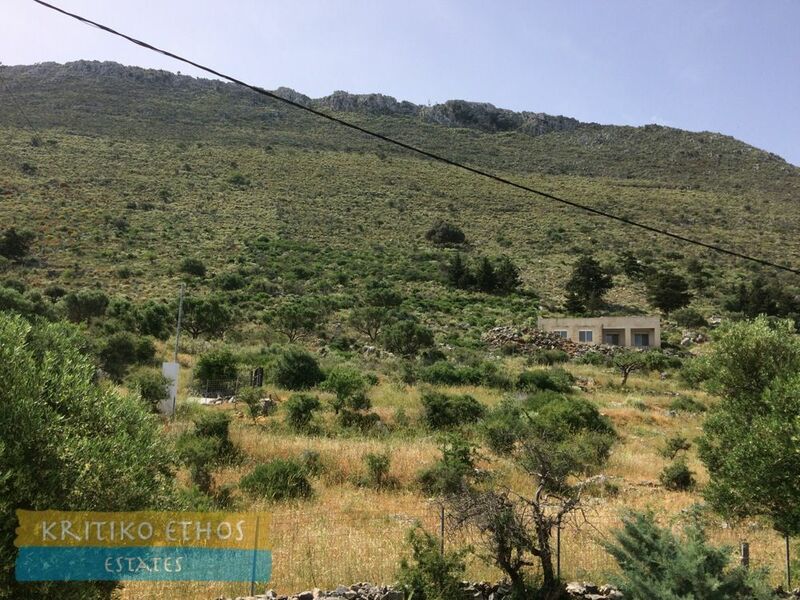 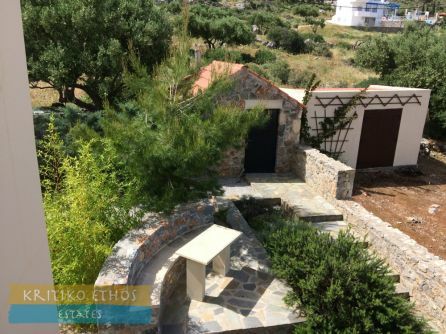 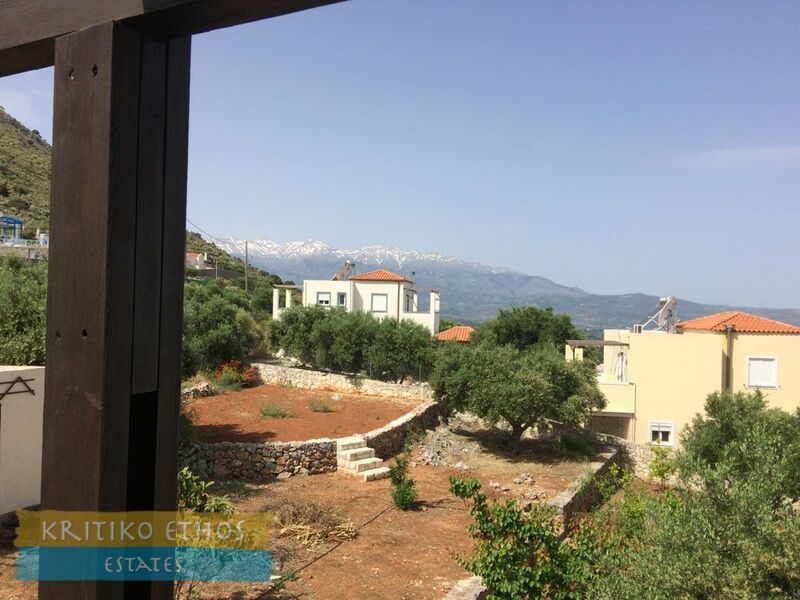 Home > Homes And Villas > For sale in Kokkino Chorio: Fantastic three-bedroom stone villa with private pool and amazing views! 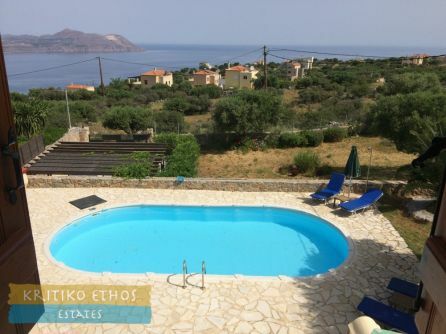 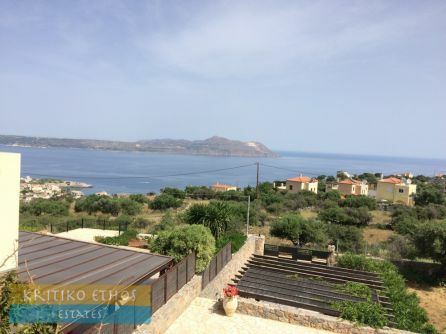 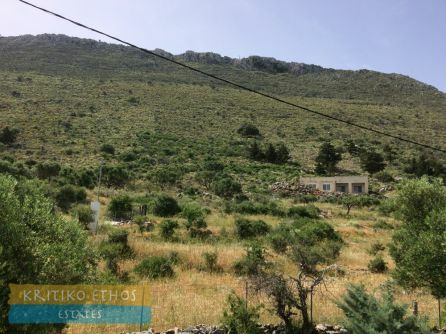 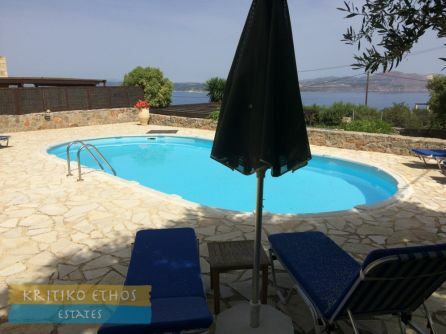 This fantastic 100 sqm three-bedroom stone home with private pool is situated high above the sea near Kokkino Chorio and offers simply magnificent views! It is equally suited as a permanent residence here in Crete or a fantastic holiday home with a proven rental income stream. Entry to the home is via a gated driveway and a covered paring area for two cars. 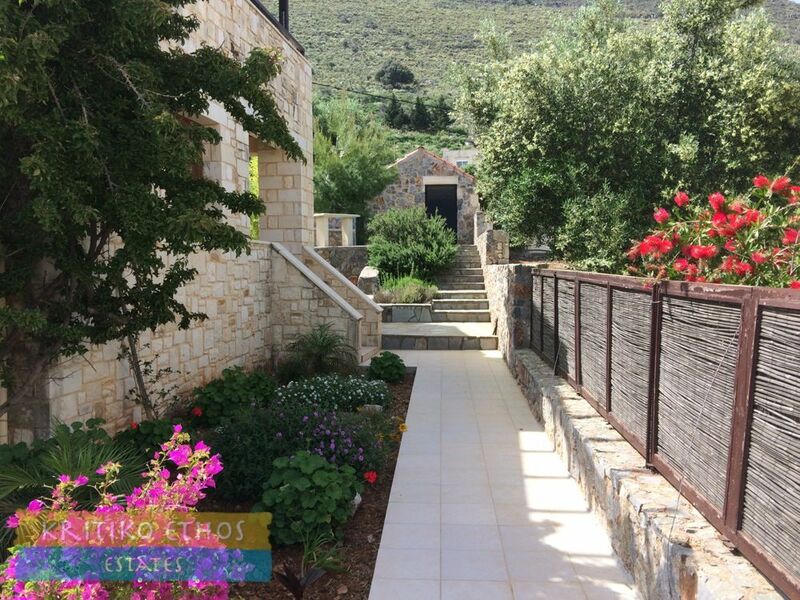 Steps lead up to the pool terrace and the main entry. 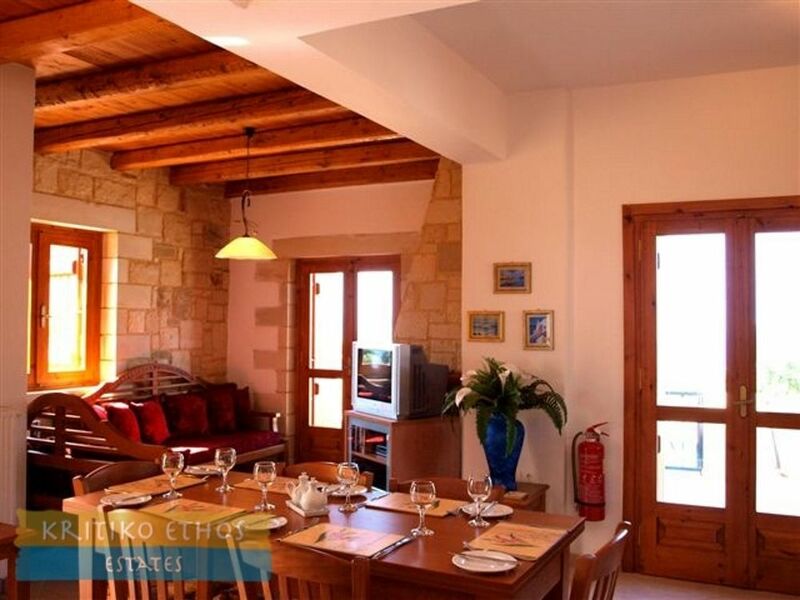 The ground floor comprises an open plan lounge and dining area with a beautiful traditional fireplace. French doors open to the broad front terrace and a further exit from the lounge area leads to the side terrace and rear gardens. The fully-fitted “U” shaped kitchen is a cook's delight with plenty of counter-top work space and cupboard storage space as well. 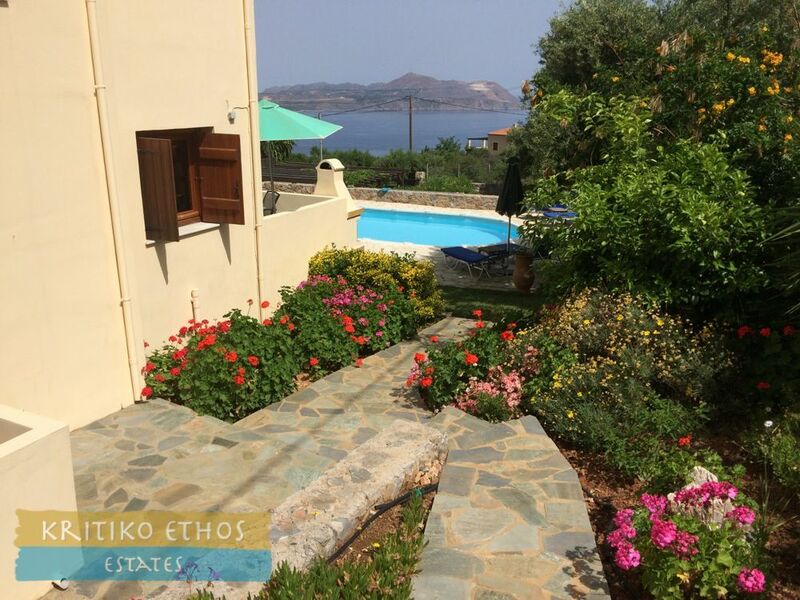 The ground floor master bedroom has French doors leading a private terrace overlooking the garden areas. 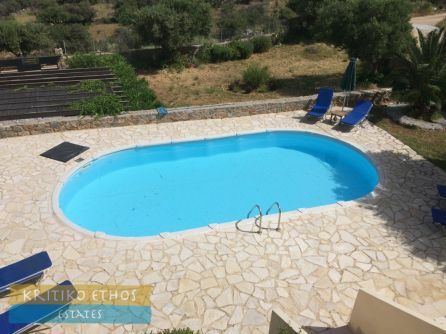 There is a full bath situated on this level as well as an enclosed under-stairs storage area. A tiled staircase leads to the first floor with two good-sized double bedrooms sharing a shower room. 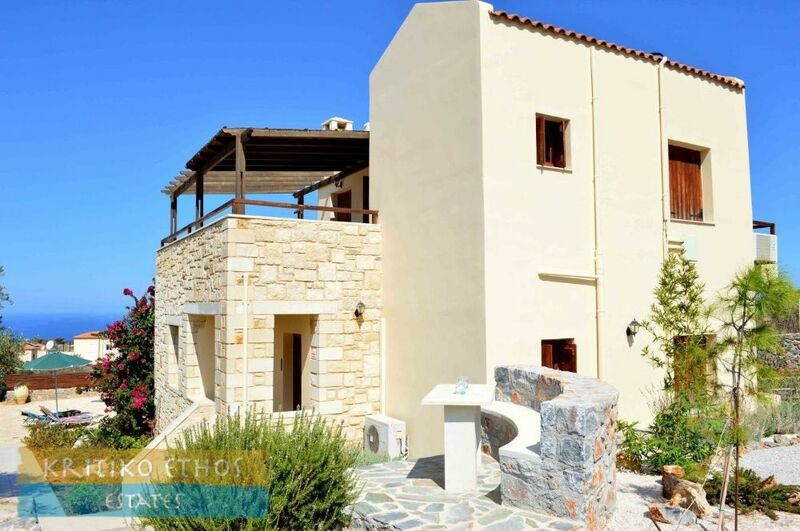 The rear bedroom has access to a private terrace and the front bedroom as well as the stairway landing have direct access to the broad covered roof terrace with simply superb views to the sea as well as Drapanos Mountain and the White Mountains to the rear. 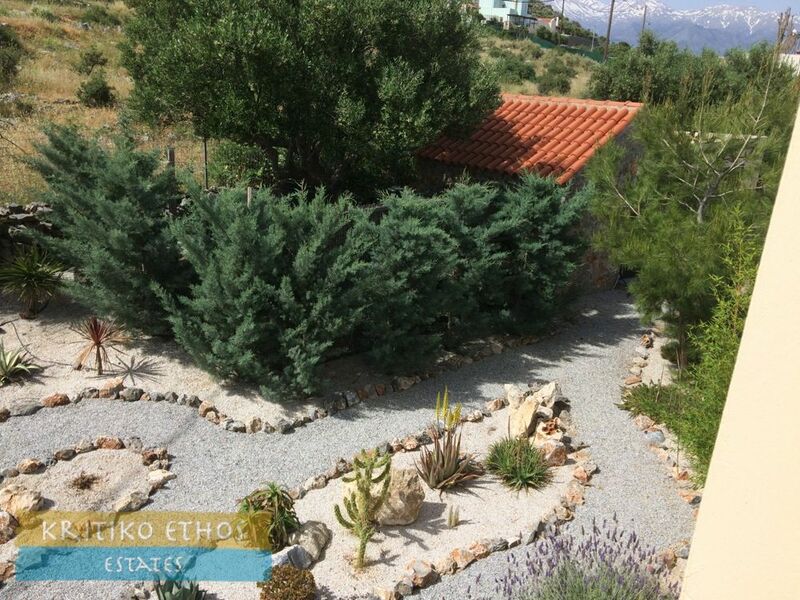 The 1,000 sqm plot has been professionally landscaped and has gravel as well as stone-paved pathways. To the rear is a pleasant arc-shaped stone bench with a marble table and further behind is a stone-built storage room that also houses the central heating unit. 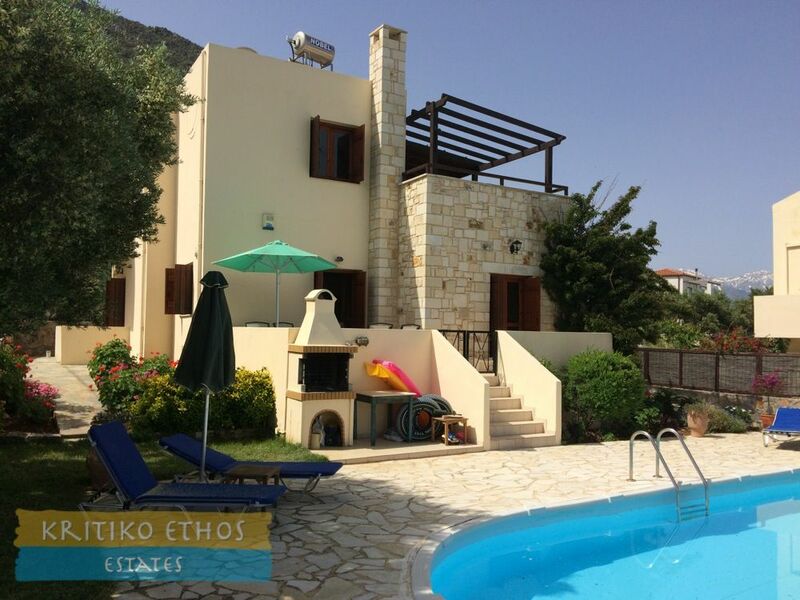 This home is in a great location for holiday makers! 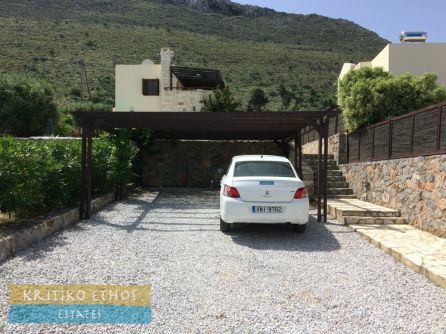 Excellent views, enticing pool and gardens, very close to the idyllic Koutalis Beach swimming cove as well as the beaches and amenities in Almerida, Plaka, and Kalives. Everything is included in the selling price. 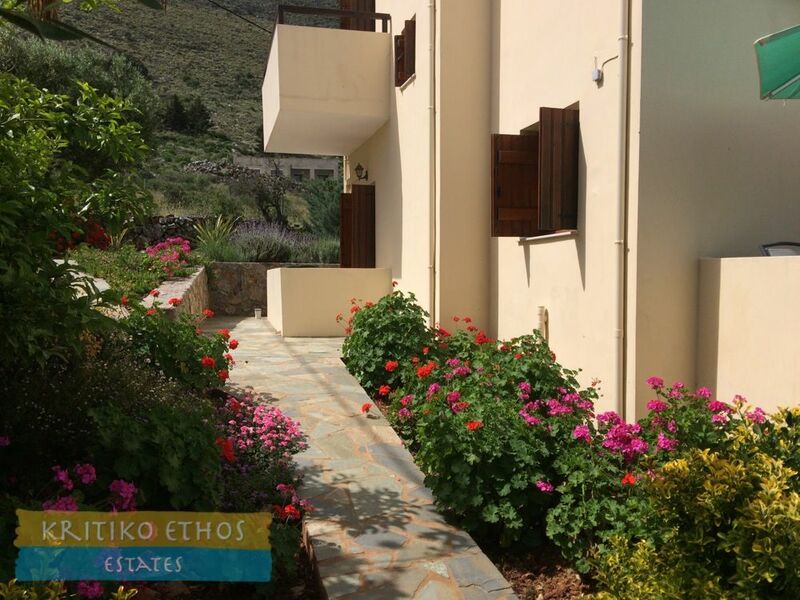 The home is ready to enjoy (or to start generating rental income) immediately!